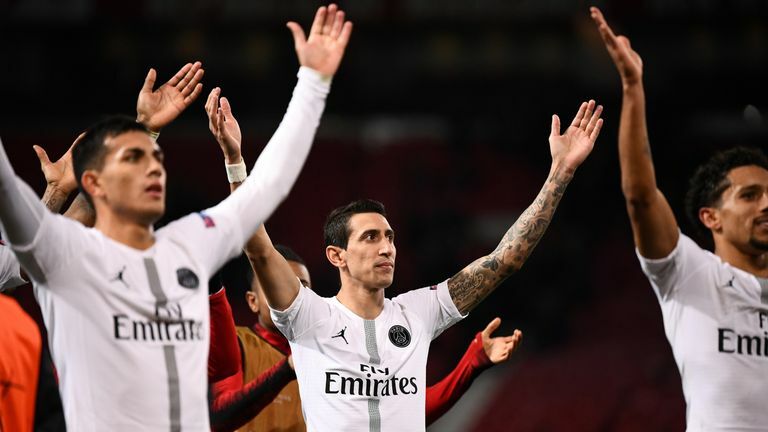 Paris Saint-Germain boss Thomas Tuchel criticised Ashley Young for shoving Angel Di Maria off the pitch and said he was lucky not to be sent off. The incident occurred during the first-half of PSG's 2-0 victory over Manchester United in the last-16 of the Champions League. Already on a booking, Young shoved the winger out of play and into the railings at Old Trafford, prompting anger from the PSG players, but Italian referee Daniele Orsato kept his yellow card in his pocket. Tuchel felt Young's act deserved a sanction from the referee. He said: "I think he was lucky as it was not necessary - he has played many times here and he knows there is a little hill that goes down. "There was no need to push Di Maria into the fence. I don't think it was on purpose and I'm happy there was no big injury." Former Manchester United man Di Maria received a lively welcome from the home fans as his every touch was booed and he had a beer bottle thrown in his direction in the second-half. However, the Argentine grabbed two assists in an impressive second-half showing to silence his critics. His manager was delighted with how he dealt with the hostility from the crowd. Tuchel said: "Di Maria is very competitive. If you tease him, it does not make him weaker.